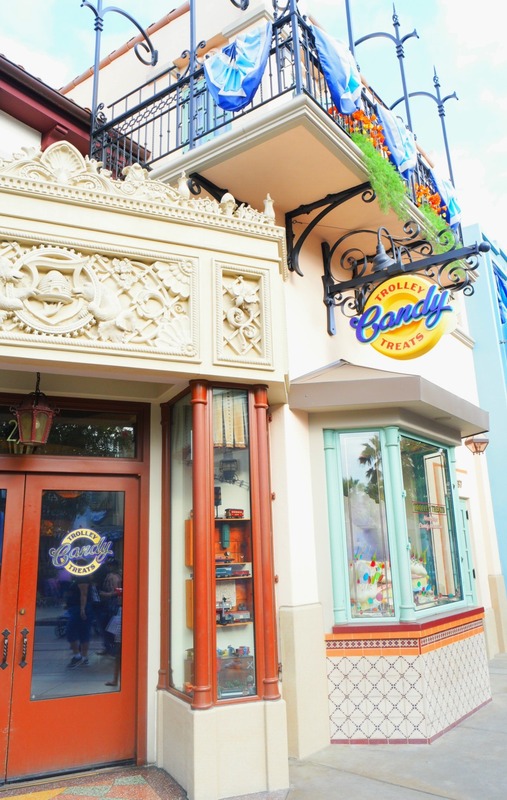 Trolley Treats at Disney California Adventure Park is a sweet shop (pun intended) on Buena Vista Street. Trolley Treats carries all kinds of freshly made treats from cake pops, caramel apples, toffee, fudge, cookies, to seasonal favorites. 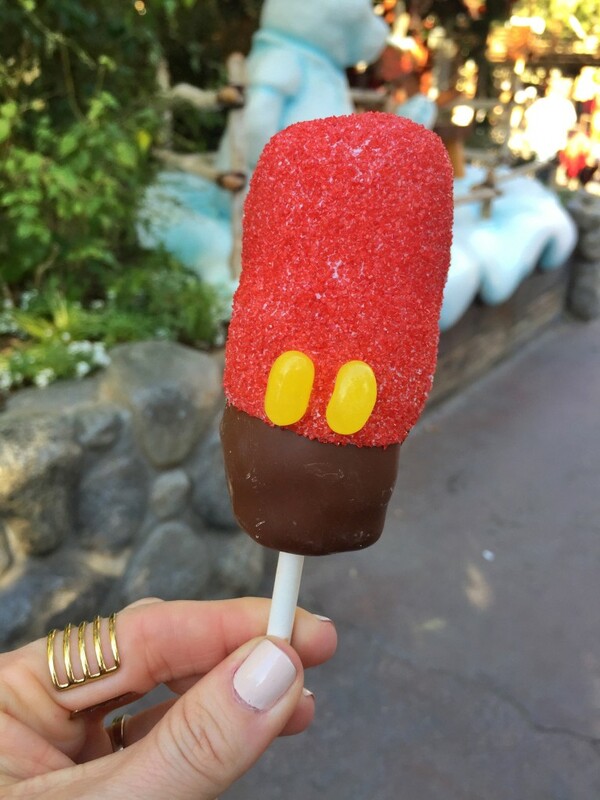 Most of the treats at Trolley Treats can be found at Candy Palace and Pooh Corner at Disneyland, and Marceline’s Confectionery in Downtown Disney District. I can’t stop myself from popping in every visit to the park. Something exciting came to Disney California Adventure this Holiday season, Disney Festival of Holidays, which runs through through January 8, 2017. It is a Holiday celebration inspired by various cultural traditions from around the world. 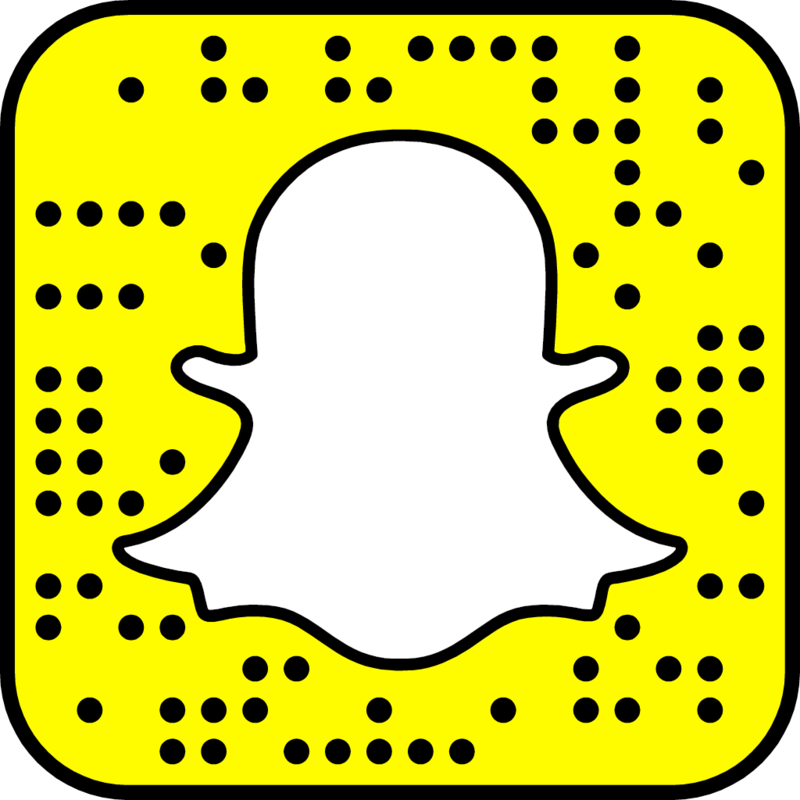 The Festival brings traditions together such as Christmas, Navidad, Three Kings Day, Hanukkah, Kwanzaa, and Diwali. At the Festival, you get to take part in delicious food and drink, live entertainment, and crafts. 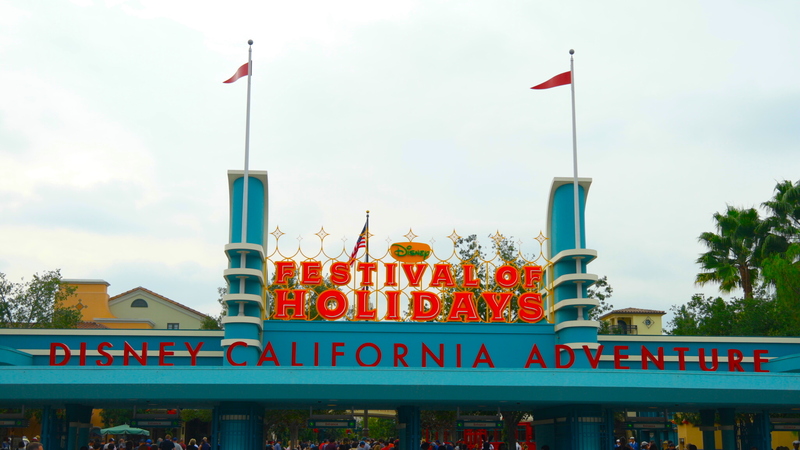 Holidays at the Disneyland Resort began November 13, 2015 through January 6, 2016. A fun part of the holiday season at Disneyland and Disney California Adventure Park are the delicious sweets and treats that are created to go along with the fun festivities throughout the park. 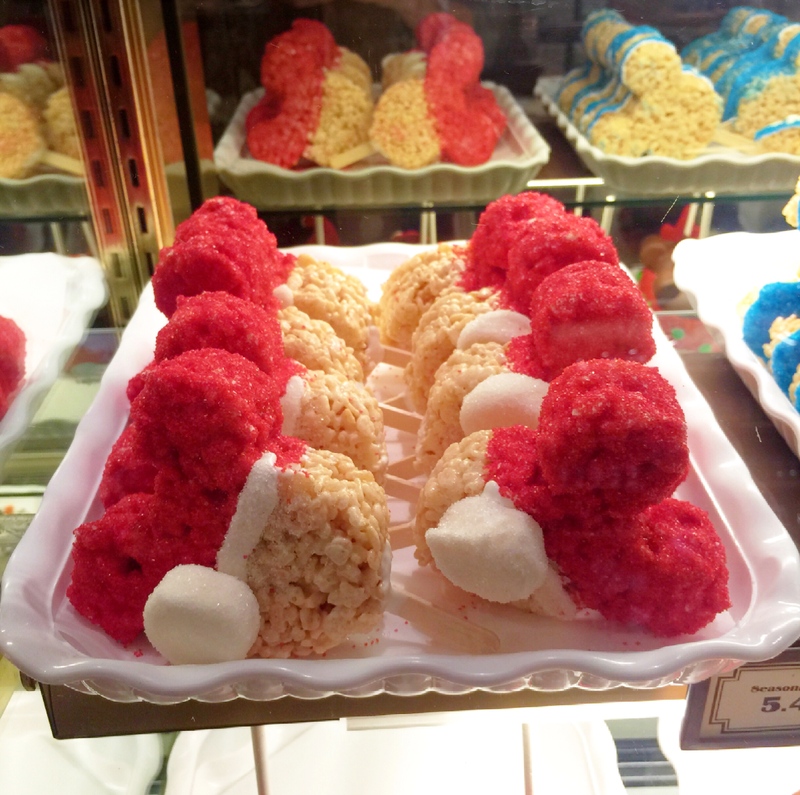 Here is a walkthrough of some of the new holiday inspired treats you can find at Trolley Treats on Buena Vista Street at DCA. Christmas time at Disneyland is so magical and something we all deserve to experience. Being annual pass holders, we are fortunate enough to get to experience all of the different seasons at the park. Each October I always announce how much I love Halloween time at the park, but once we move on to Christmas, I suddenly cannot pick a favorite. We were there right after Halloween and when I left the parks I was ready to decorate my house for Christmas. Between the decor, music and snow at night you can’t help but feel like Christmas is right around the corner, Thanksgiving what?! Once we step off of the Winnie the Pooh ride in Critter Country, my kids run straight into Pooh Corner for a treat. I never seem to mind, since it is my favorite candy shop between both parks. During their Christmas season, they have so many adorable Holiday treats that it is hard to decide, so I end up grabbing a few.